Authentic Pigment 14 oz. Pigment-Dyed Raw-Edge Messenger Bag with your choice of vinyl design. This bag is 100% cotton canvas and is enzyme-washed so it won't fade. It includes an adjustable cotton webbing shoulder strap with antique brass slider and D-ring. 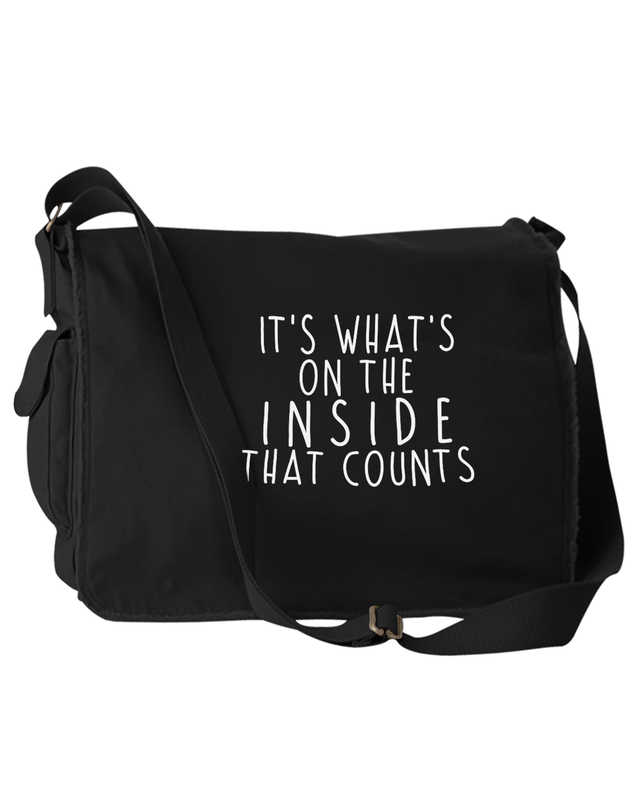 It has a large flap with magnetic snap, exterior and interior zippered pockets and side pockets.